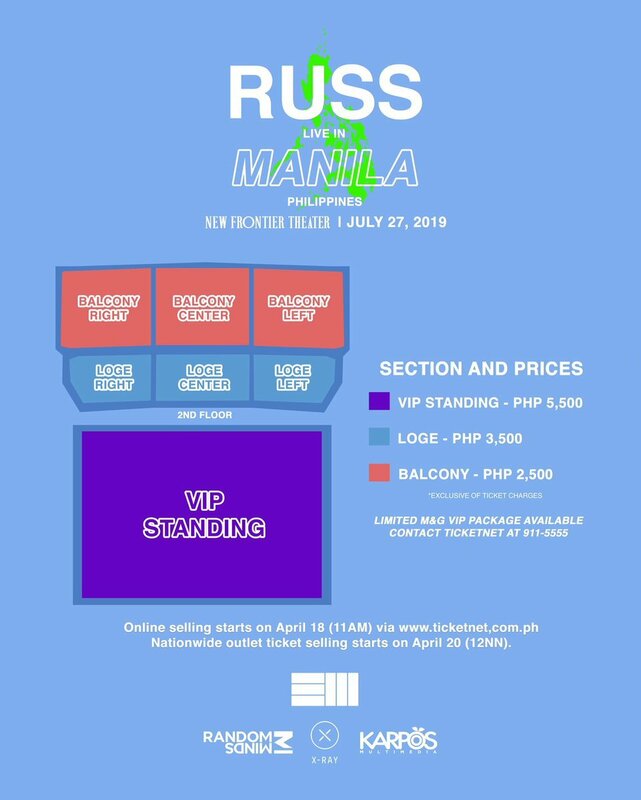 Russ is making his Manila debut this July! The American rapper, singer-songwriter, and producer is set to perform at the New Frontier Theater on July 27, 2019. Tickets priced at 5,500 PHP, 3,500 PHP, and 2,500 PHP are set to go on sale on April 18 via Ticketnet. Russ is currently on tour in support of his latest album, ZOO and is also slated to make an appearance at Australia's Splendour in the Grass.